Is your horse a happy traveller? Wouldn’t it be a comforting thought if your horse would be ok being in a trailer? Every time and under all circumstances? Some day you might want to take your horse to fun places like new trails, a demo, a competition, a clinic or take your horse with you on vacation. Or you decide you want to breed a foal and you need to take your mare to a stud. You never know if you have to move your horse some day. Your horse can live in the best boarding facility, but things change. That’s life. Maybe your horse lives at your own place, you never know if you have to sell him or due to changing circumstances he has to be transported. Or you want to take your horse to a pasture a few kilometres away and the road is too dangerous to ride or lead him there. In case of emergency you might have to trailer your horse to go to a clinic. Imagine that you and your horse are already stressed out due to a colic or a severe injury and then you remember your horse doesn’t like the trailer. Or your horse only wants to go in with his companion and refuses to go in alone. 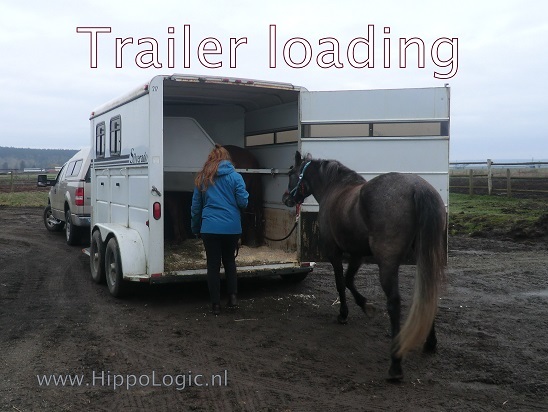 If your horse is not an experienced and happy traveller, trailer loading increases the stress in an emergency situations. I’ve seen this happen. As you know, in an emergency there are always people “happy to help” (force) your horse into that trailer. Emergencies are not situations you want to start practising. 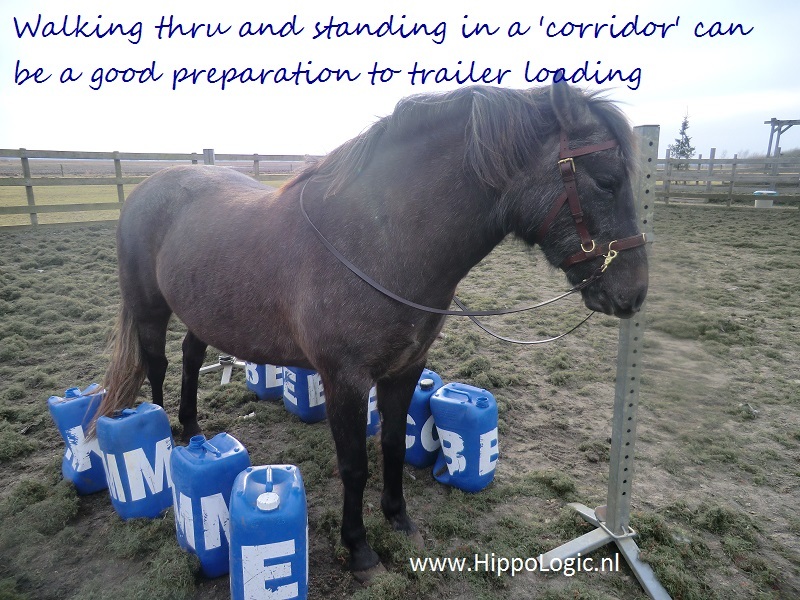 If you don’t want or have to go places with your horse, trailer loading can be a fun challenge in your training. Especially for horses who are very nervous in narrow spaces. Consider it another training goal. A few days of practising and rew arding your horse for stepping outside his comfort zone can do wonders. It builds trust you need in other scary situations. Train to test how much your horse trusts you and how good he is in following your directions in unfamiliar situations. 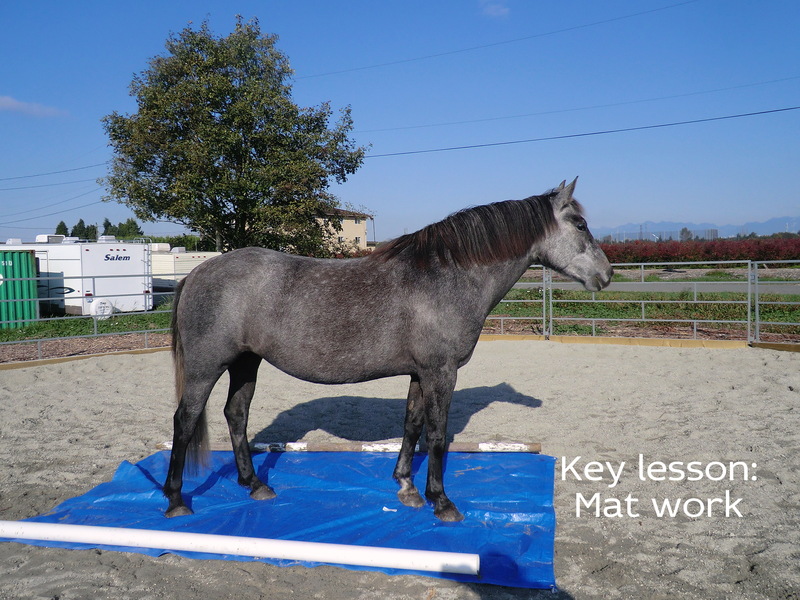 Increase the challenge and ask your horse to self load. If your horse is OK with trailers, but you never travel with him, it can’t hurt to check once in a while if he’s is still comfortable travelling by trailer. accept the feel of a chain/rope against hindquarters. I bet you can think of many, many more preparations that can help you prepare your horse to travel in a trailer.